Concept watches seem to popup all the time and they typically have a cool design that we know deep down will never make it to store shelves. 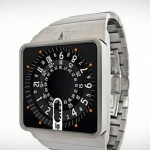 If you are tired of seeing concept watches you can’t buy, the Watch3 is for you. 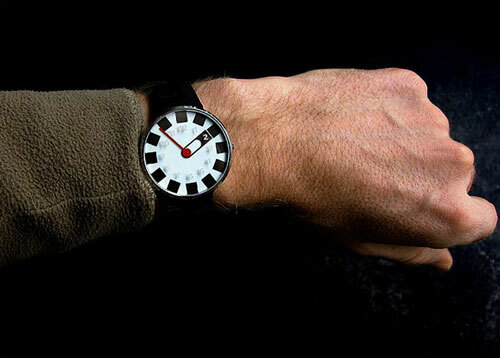 This watch looks like a concept, but you can grab one now. Assuming you are willing to cough up $570 and the limited run of 100 units hasn’t run out. The watch has numbers printed on the back of the crystal that are only visible when the hour hand is on them. 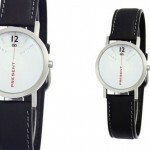 The diameter of the stainless steel case is 38mm and the face is 6.7mm thick. 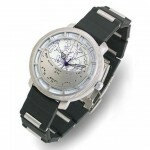 The watch is constructed by hand by Swiss watchmakers and uses a quartz movement. The strap is made from leather and the face glows thanks to phosphorescent paint.